Writing in the Guardian to highlight a new report by Sense about Science, David Robert Grimes argues that while fear of nuclear energy runs deep, it may be the most efficient and clean energy source we have, albeit with complications. In light of climate change, many people that were previously opposed to nuclear energy are reconsidering their position in light of climate change. It’s not an easy process. 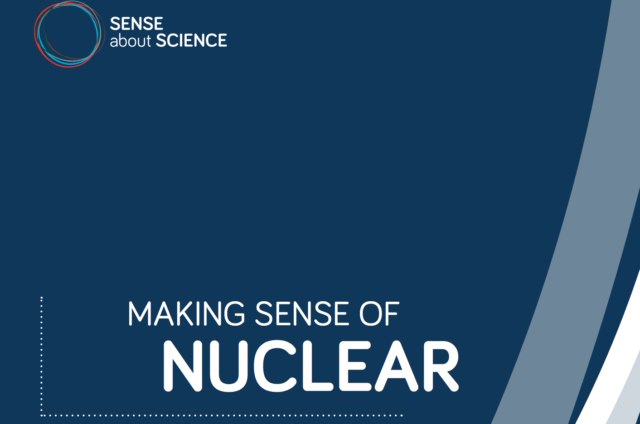 This new guide, produced by Sense About Science, and co-authored by a range of experts, is designed to help guide informed decision-making around some of the big questions and concerns about nuclear energy.